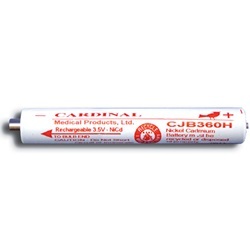 Cardinal 3.5 volt nickel-cadmium (NiCAD) rechargeable battery. For use with Optec 360 halogen retinoscopes. Manufactured by Cardinal. Comes as singles.